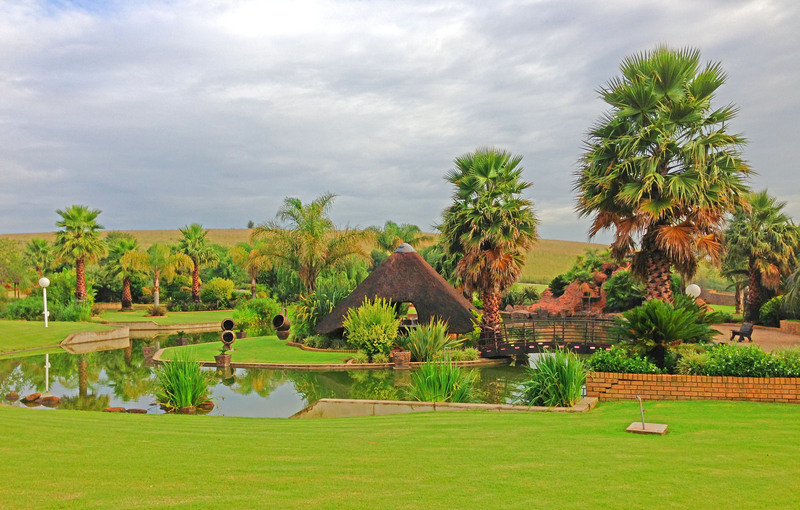 Will Chris Estate is unrivaled in Witbank as a garden venue, conference centre and event location. Situated adjacent to Witbank’s premier golfing and eco estate, Bankenveld, our venue offers easy access to both the N12 and the N4 national highways. The Highveld’s famous balmy weather is perfect for outdoor events especially during the cooler autumn, winter and spring months when there is little chance of rain ruining your event. We offer various outdoor event options including beautiful, floral themed crisp white stretch tent with a seating capacity of 140 people, traditional lapa’s perfect of your company braai. An intimate, island lapa, accessible by a sturdy bridge which is ideal for informal, outdoor board and company meetings and a Victorian and larger Grecian pavilion to chose from. All these venues are located within expansive but secluded, lawned “garden rooms”. Our manicured gardens also lend themselves perfectly to smaller, outdoor expo’s, music concerts, large, romantic garden weddings under candle light and baby showers, kitchen tea’s and large family gatherings.